On Tuesday October 27 at 4.45pm GMT (5.45pm CET, 9.45am PST, 12.45am EST) Sony will take to the stage at Paris Games Week, where it will be announcing new PlayStation 4 games along with updates to some of the previously announced titles. 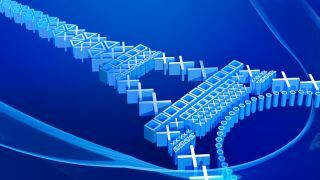 With Sony already giving us plenty to be excited about at this year's E3 and TGS (Tokyo Game Show) conferences, it'll be interesting to see what else the company has to offer. As the conference is in Paris (in La Grande Arche de la Défense), we're pretty certain that French developer Quantic Dream will make an appearance to show off its follow-up to Heavy Rain and Beyond: Two Souls. Other European developers, such as British-based Media Molecule, should also have a strong following, and hopefully we might also get some more information on PlayStation VR. As always, the best way to experience these conferences is live, so here's how you can watch Sony's Paris Games Week PlayStation Press Conference. If you're sitting in front of a PC then you've got plenty of choices for watching Sony's Paris Games Week PlayStation Press Conference live. Sony has its own livestream on its PlayStation Blog, which will be translated into French, German, Spanish, Italian and Japanese. You can also head over to Sony's PlayStation YouTube channel, which will also be livestreaming the conference. This is probably a safer bet if there are some big announcements, as YouTube's infrastructure will handle surges in traffic better. Our sister website GamesRadar+ will also be livestreaming the event, and will have news teams at the conference to frantically type up any breaking news. If you want to watch Sony's Paris Games Week PlayStation Press Conference on your smartphone or tablet, you can watch the official PlayStation Twitch Steam through the Twitch app. You can also watch the livestream via Sony's PlayStation app, which is available for Android and iOS devices. Open up the app and tap on Events, then choose 'Recommended' from the drop-down list box and Sony's livestream will appear. You can set it to automatically launch when the event starts, so you won't miss any announcements. You can also watch the PlayStation Press Conference on your PlayStation 4. All you need to do is open up the Events app to view the livestream. If you can't watch the livestream where you are, you can still keep up with all the announcements on social media. Sony will be posting photos and updates from the show floor on its Instagram account, as well as posting news and announcements on Twitter. We'll also be posting exciting news from the event on our Twitter account, and you can keep up with the hashtag #playstationpgw.